In order to establish a permanent Munar outpost, several infrastrtucture requirements had to be met. Reliable power sources, communications, habitation, transportation, and propellant generation all had to be placed on the surface ahead of the first long-term surface crews. 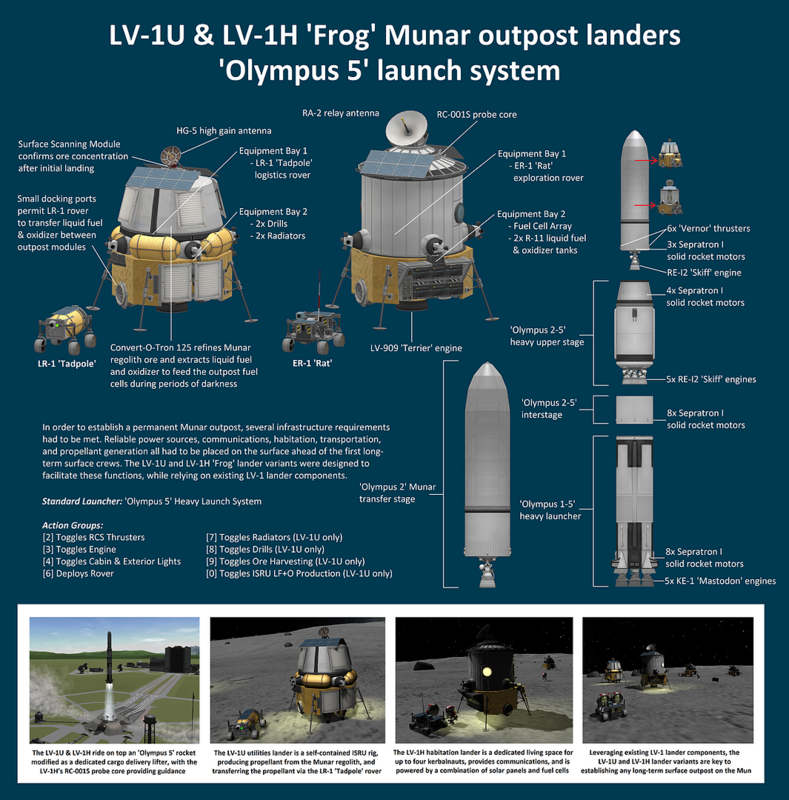 The LV-1U and LV-1H ‘Frog’ lander variants were designed to facilitate these functions, while relying on existing LV-1 lander components.